A decade of research and writing went into my new book about the Black Panthers and COINTELPRO. Thanks to North Omaha History website you get to read the book free on the internet, one chapter a week. Click on link for the Preface and Chapter One. Feel free to share with others. The full story of COINTELPRO and the framing of Edward Poindexter and Wopashitwe Mondo Eyen we Langa (former David Rice) will never be known. J. Edgar Hoover’s counterintelligence operations were deeds done in the shadows, never to see the light of day. Some illegal actions were never documented and for the many that were the subject of bureaucratic memoranda, the redactions and destruction began almost immediately upon the death of Hoover. What wasn’t shredded was censored upon release and then only after hard-fought litigation. The record of COINTELPRO misdeeds is a shocking history of a massive federal conspiracy to subvert the justice system of the United States. While it is true that J. Edgar Hoover was the man behind COINTELPRO, the reality is that almost every FBI agent in the country knew of or had a role in the conspiracy. Few grasped the scope and magnitude of the counterintelligence operation although for years virtually the entire Federal Bureau of Investigation looked the other way when confronted with COINTELPRO crimes. This account of COINTELPRO is an incomplete history for reasons other than redactions and shredded documents alone. The sheer size of COINTELPRO operations from 1956 to 1971 would take thousands of pages just to summarize. 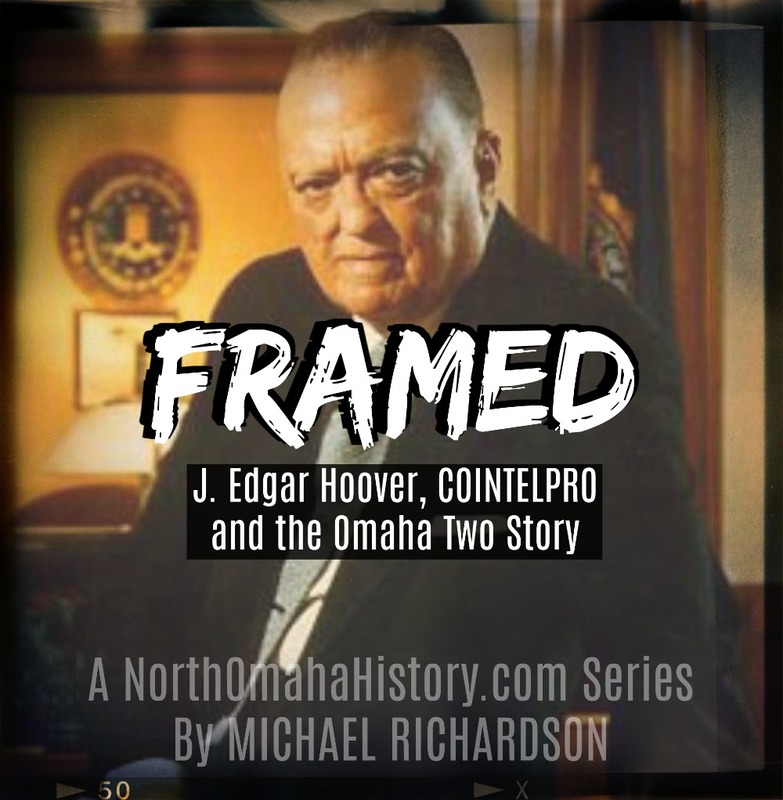 Even a full account of the surviving record against the Black Panthers would overwhelm a review of the case against the Omaha Two and so only an abbreviated history is told here. The story of the Omaha Two has never been told in the context of its time. A perfect storm of racism, radical rhetoric, COINTELPRO, local police, and a turf fight between the FBI and the Division of Alcohol, Tobacco and Firearms swept up the two men in a maelstrom of injustice. The writing of the book has taken a decade and undergone several approaches to marshal the facts and present them in a comprehensible manner. Early on in the research it became clear that the best way to proceed was to let the story tell itself, whenever possible, and so much of the book is direct quotations from primary sources. The problem of editing the material in the book was compounded by ungrammatical sentences and misspelled words in the source materials, particularly in the reports filed by the Omaha police, typed on manual typewriters in the squad room by police officers themselves. A decision was made to as faithfully as possible reproduce relevant portions of the record, typos and all. The rationale for burdening the reader with the mistakes was twofold. First, was the desire to not impose subjectivity into the content. Second, some of the FBI commentary was critical of the literacy level of Black Panther members and mistakes were deliberately made in false documents distributed by the FBI. Thus the reader is now faced with what was written at the time, warts and all—minus, of course, the numerous redactions. The search for a publisher underscored something I already knew, this was a story that was not supposed to be told. Persuading profit-motivated companies to publish a book about a crime long-ignored by the news media proved to be a daunting task. Mondo has already died in prison and Ed Poindexter is in his seventies facing serious health issues. The time to publish this book is now, not someday in the future. I am grateful to North Omaha History for the fortitude and wisdom to help get this story to readers. Please share it with others. The story of COINTELPRO, the Omaha Two and the murder of Larry Minard, Sr. was hard to tell and is not pleasant to read. It is a story of injustice with no happy ending. However, it is an important story that needs to be told. Omaha is a divided city. The scars from August 17, 1970, haunt Omaha like a wound that will not heal. Justice remains undone.